If you lost your medicine while travelling, what would you do? Whether you’re travelling across the country to visit family or across the globe for business, it’s smart to have a plan in place in case you need medical care. That’s especially true if you use medication to help manage a chronic health condition such as heart disease, high blood pressure, diabetes, asthma, or chronic obstructive pulmonary disease (COPD). Before your trip, ask your doctor for a copy of prescriptions of all medicines you take regularly and carry them in your wallet or carry-on bag. You should also put your prescription medicines in your carry-on so you’ll have them if you need them on a long flight or if your checked luggage gets lost. Especially when travelling overseas, it’s wise to keep medications in their original prescription bottles. 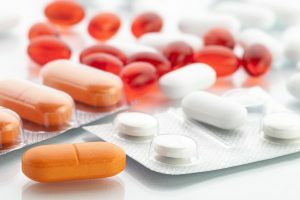 For injectable medications and medications that fall into the category of controlled substances, such as certain pain medications, sleeping pills, ADHD medications, and medications for treatment of anxiety and depression, ask your doctor to provide you with a letter on his or her stationery that verifies your need for the prescription. If you’re travelling to an overseas destination you’ve never visited before, check with the American Consulate or Embassy to find out if you can bring your medications with you. Some countries do not allow visitors to bring certain drugs with them. Drug names and dosages can vary from country to country, so ask your pharmacist or doctor to provide you with the generic names for all prescription and over the counter medications you take regularly so that you know what to ask for if you need to fill a prescription while you’re travelling. You forgot your medication. What should you do? If you forget or lose your medications while travelling, they can be difficult to replace. In the U.S., you can call your doctor’s office and ask for a refill to be faxed or called into a pharmacy at your destination, though that can be difficult on weekends and after office hours. When travelling outside the country, replacing lost or forgotten medications can be a good bit more complicated. On a trip to China, after landing in Beijing, one of our members found that none of the medications she took regularly were in her suitcase. Find out more about how a health advisor can help you get the medical care and support you need anywhere in the world.